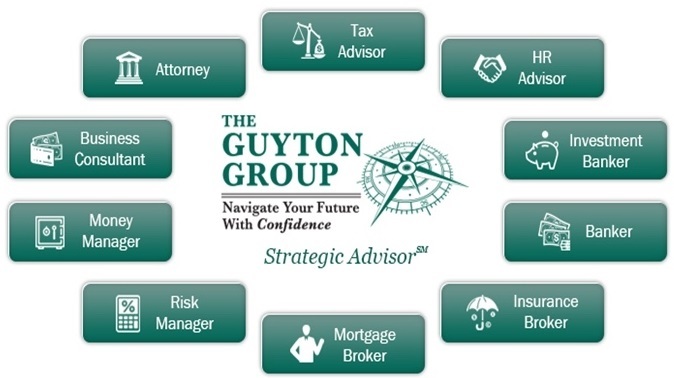 The Guyton Group is a preeminent strategic advisory firm on the seacoast delivering integrated financial plans to business owners and individuals to help enhance wealth and maintain financial freedom for their clients and their families. Where do you think you should save your money for retirement? Retirement saving is different for everyone. Watch our video then give us a call to discuss what you want your money to do for you. Let The Guyton Group help you enjoy living a life with a philosophy of abundance, instead of a lifestyle of scarcity! Securities products and advisory services offered through Park Avenue Securities LLC (PAS), member FINRA, SIPC. OSJ: 160 GOULD STREET SUITE 310, NEEDHAM, MA 02494, ph# 781.449.4402. PAS is an indirect, wholly-owned subsidiary of The Guardian Life Insurance Company of America® (Guardian), New York, NY. The Guyton Group is not an affiliate or subsidiary of PAS or Guardian. The Guyton Group is not registered in any state or with the U.S. Securities and Exchange Commission as a Registered Investment Advisor.